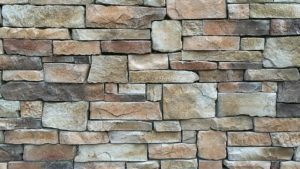 Repairing buildings is an expensive maintenance cost, and unfortunately, it’s doubtful that there will ever be a way to completely get rid of a need for masonry upkeep. However, there is a study in the works that’s looking into an innovation that would significantly reduce this expense. Researchers at Cardiff University have started a two-year study that would see if certain types of bacteria could give masonry self-repairing properties. Certain chemicals can elicit mineral deposits from microorganisms. Calcium carbonate is one of those deposits, and it’s also one of the main components used in masonry. In January of 2018, researchers at Binghamton University announced that they were developing a fungus that would automatically fill in cracks in masonry work as it became necessary, which could potentially save significant amounts of money.